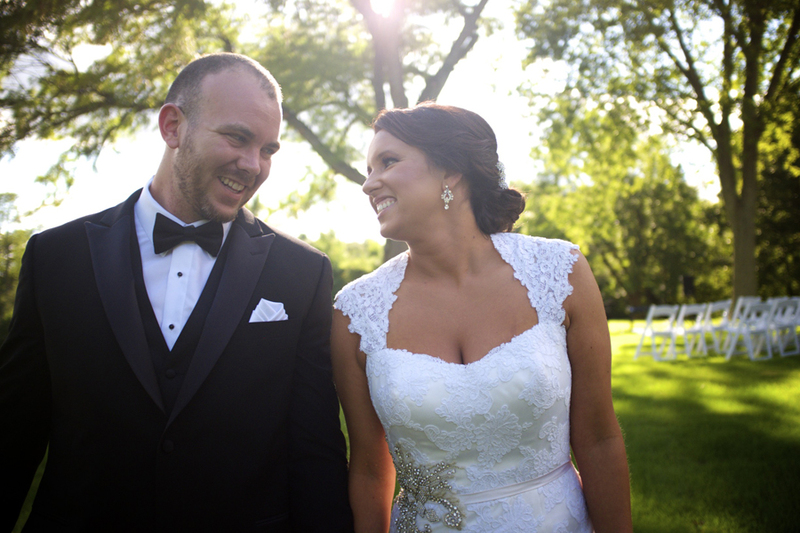 Tyler and Nicole got married in the front yard of Tyler’s childhood Barrington Hills home, where his parents still reside. As I live only about a mile from there, this became the first wedding I’ve shot that I’ve been able to bike to. : ) After emailing and talking on the phone with Tyler, Nicole, and their parents for months leading up to the big day, the day of the wedding was the first time I met them face to face. I could immediately see that Tyler and Nicole were two absolute best friends who also happened to deeply love one another. It was a beautiful thing to observe. Thank you guys and your families so much for allowing me to be a part of your perfect wedding day. Hope you enjoy reliving it a bit here!